City and Livery is a web site that introduces you to the City and it’s ancient connection to the Livery. The site is useful, as is the book mentioned “The City of London Freemans Guide”. Copies can be obtained from the Clerk or online from Amazon where it can be downloaded as an e-book. This is an invaluable resource to give you context and a wider view of where the Company sits in the Livery. In order to become a Freeman you will need to formally declare your intention. Ceremonies usually precede the four Statutory events per year. Guests are welcome on such an occasion. If you cannot attend, there will be other Ceremonies during the year, but the Court expects that Declarations will be made within a year of your application being approved by the Court. The fifty word biography included with your application form will be used to introduce you at the Ceremony. You are required to wear a plain black academic gown on this occasion so you may be clothed as a Freeman. This gown should also be worn at future Statutory events – The Installation Dinner, the Annual Service and Dinner, the City Celebration Dinner and Election and Awards Dinner, . Gown suppliers are given below..
All Freemen and Liverymen are expected to wear a plain black academic gown at statutory events, however they are not required for social or education events. We don’t have a preferred supplier but the following three have been used by Liverymen and Freeman and they are a good starting point. These are aimed particularly at new Liverymen and Freemen; partners are also welcome, as are Court Assistants and Liverymen of longer standing, who have not previously been to a Briefing, who are also encouraged to attend. Click here for dates and more details. 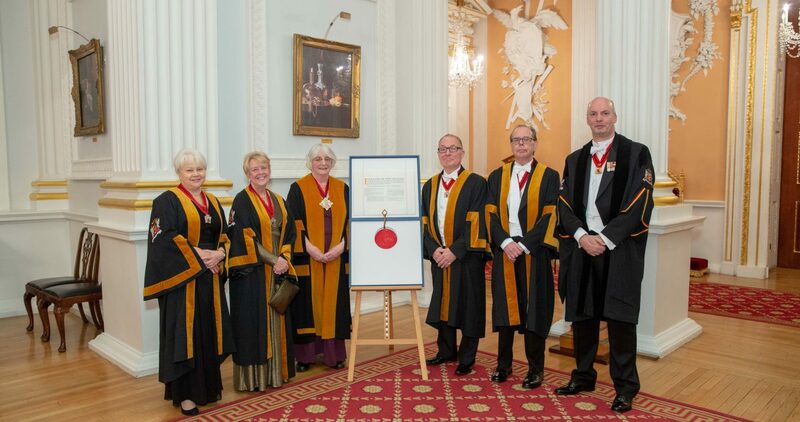 As a Freeman of a Livery Company you are also eligible to join any number of City organisations, including Ward Clubs, and attend City events. Please take a look at our Livery tradition page for more information.